The Curley Maple Canoe by Heirloom Kayak is a stunning boat made from cedar, red mahogany and curly maple with gunnels and seats made from Ash. The interior is protected with an automotive finish with high flex to last a lifetime of hard use. 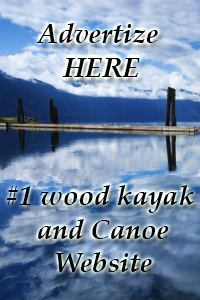 This boat is so maneuverable it is loved by canoe enthusiasts for both single and double paddling. This boat leans and turns so well that the accompanying stability is quite surprising. A great boat for families and demanding paddlers alike. At 55lbs this boat is lighter than a factory production model with twice the character. Paddle an amazingly responsive boat with stunning beauty.